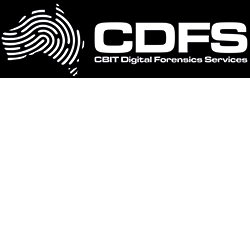 CBIT Digital Forensics Services (CDFS) is Australia’s premier and most trusted supplier of Digital Forensic Tools, Training and Certification. We provide end-to-end solutions (consulting, procurement, implementation, expert witness testimony, industry-embedded training) to Law Enforcement, Government, and Enterprise. CDFS is also an authority on the subject of Digital Forensics, and has an established track record of designing and delivering training both nationally and on an international scale. At CDFS we strive to deliver education and service at a level that far surpasses what has traditionally been available in the industry. Our team includes cyber security instructors with many years of experience working in cyber centric jobs, and have both managed and trained an entirely new generation of cyber investigators all over the world. Out of necessity we have developed training techniques to assist with the steep technical learning curve and to impart the 'soft skills' that make the difference between a good and great cyber analyst. Our coursework is founded from real experience working in some very interesting places and we aspire to give our students the benefit of our decades of experience without the same time investment. CDFS operates with agility, personal feel and intimacy of a smaller organisation, which combined with our experience and knowledge in the digital forensics industry make a great partnership fit for our clients. Communication, integrity and transparency are keys to the success of CDFS’ client relationships. Our Account Management philosophy is highly consultative; we position ourselves as an extension of the client’s product specialist function, to achieve the best procurement experience possible. Our authority and unrivalled experience in the digital forensic space enables us to assist clients in developing and customising solutions to ensure their procurement requirements fit into their overall business strategy.